Beans are an excellent source of protein. Use these pinto bean recipes to cook up some beans for dinner. Beans by themselves are an incomplete protein and must be combined with other foods to become a complete protein. Other foods that combine well with beans are seeds, grains, vegetables, and dairy products. You're going to love this bean recipe. Sort dry beans, rinse, place in bowl and cover with water + 3 inches and 2 T. salt. Let soak overnight. In the morning (allow 8 hrs for cook time) pour off water, rinse well. Pour into large pan or 8 qt. crock pot, cover with water + 1 inch. Add diced onion and cook on high for 6 hrs. Add seasonings and cook until soft. For leftovers, freeze in 2 cup portions in freezer Ziploc bags for later use. In my experience this is what I believe in my mind and heart. When I want raw for about 11 months, I found that as winter approached, I was cold and wanted something warm. The craving intensified and I just wanted a warm pot of beans. As I learned and experienced, my body needed protein. Winter was coming, the cleansing time of summer was over with fruits and vegetables and now I needed warmth. I tried sprouting beans etc. and was not satisfied with the result, still crunchy and not warm. I really believe that beans were created with properties that would allow them to store and keep when a garden was not feasible. In studying I found that beans and even some grains are not fully utilized unless heat is applied. 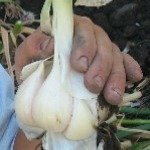 The full nutrition comes out and softening occurs. I truly feel that beans were created and should be used in that manner. There are also natural toxins that can only be destroyed by cooking. The un-pleasant side effects of beans are also “lost” when you take the preparation and time to at least soak them overnight or better yet to sprout for 48 hours, rinsing 2 times per day. Cooking time is lessened and the nutrition is increased. So I always soak at least overnight and then if time allows, I sprout them for 2 days. Then I cook up a nice pot of beans! Wow! 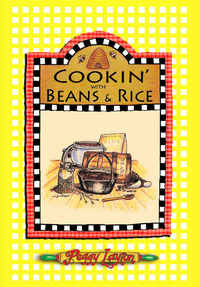 Look at that 175 pages of recipes for beans and rice. That makes eating beans and rice look exciting. Actually Rice & Beans is one of my favorite meals. 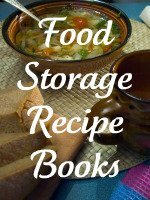 To learn more about this fabulous food storage cookbook click here.